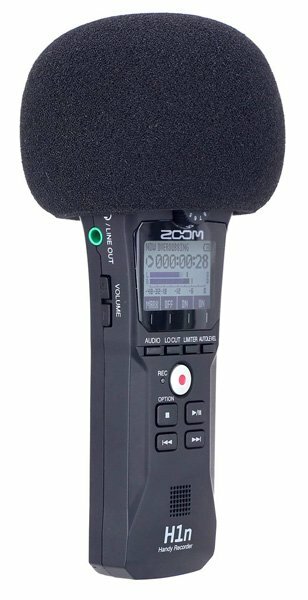 This page is a quick guide to using a Zoom H1n handheld audio recorder for basic recordings. 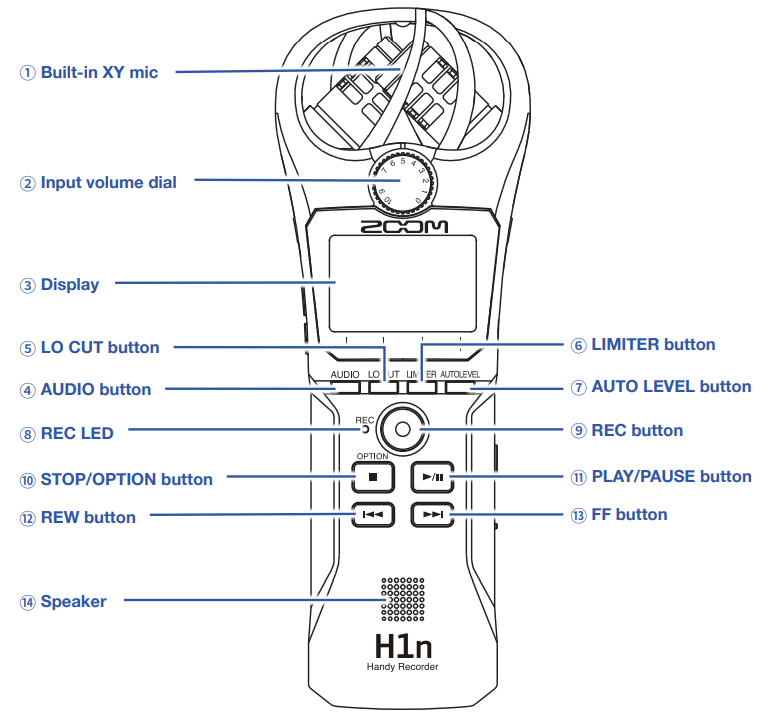 If you want to dig deep into the full functionality of the H1n then you can download the complete product manual. The card must have sufficient space for the recording you plan to make. At the recommended 44.1kHz sample rate / 16 bits you’ll need about 10MB of space for every minute you plan to record. So an hour’s audio will occupy 600MB of space on the card. 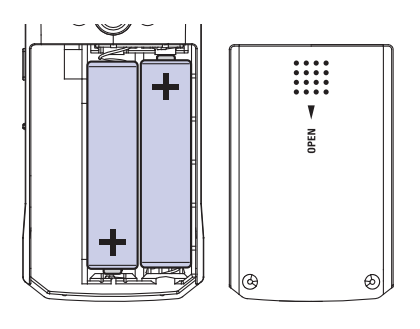 You can power the device with batteries, either regular alkaline AA cells or rechargeable nickel-cadmium AA cells which have been charged in an external charger. To avoid the risk of losing your recordings make sure you use fresh or freshly-charged batteries that won’t run flat. Alternatively, if you have mains power available use the power adaptor. 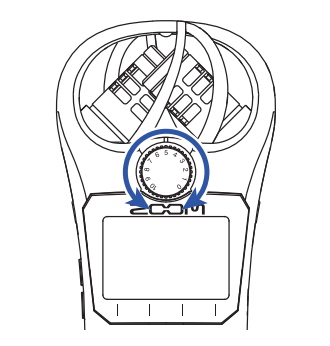 Use the sliding control on the right hand side to turn on (or off) the device. 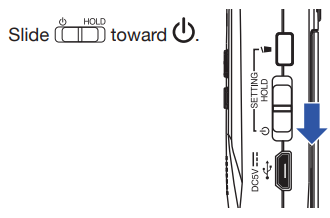 Release the sliding control once the screen has lit-up. Aim for speech to peak at around -12dB on the display. If your levels are too low the sound will require amplification which will also increase digital noise to unacceptable levels. If your levels are too high the sound will be distorted and unpleasant. The mics are very sensitive to wind. The foam windshield will protect the mics from human breath blasts and is sufficient for indoor recordings. 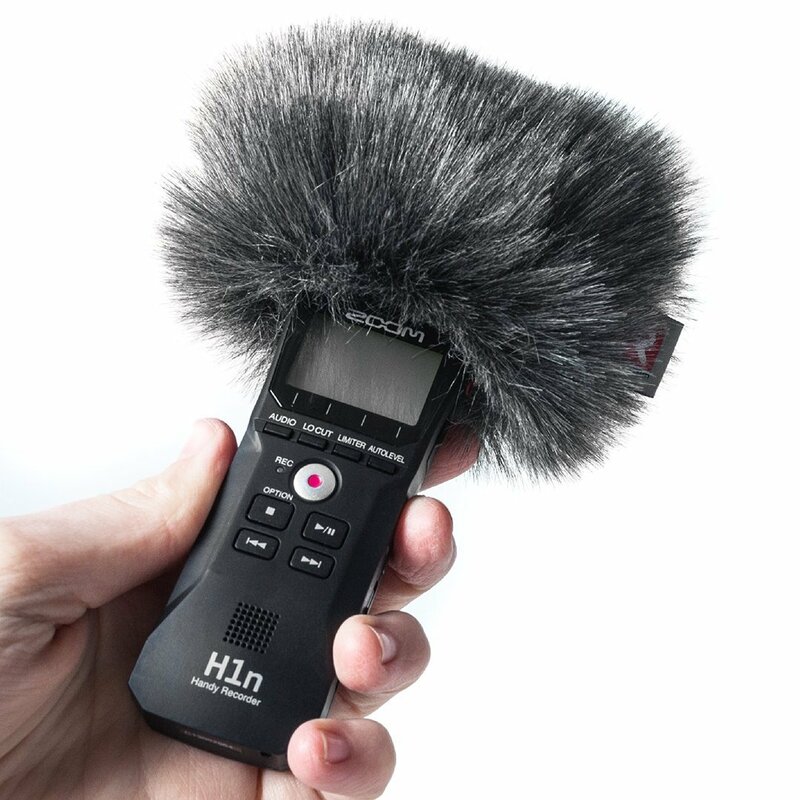 If you’re recording outside, especially if it’s windy, you’ll need to fit the hairy windjammer. First, press the round red record button. Then check the counter on the display is counting up. Now you can focus on the content of your recording. At the end of your recording press the square black Stop button. Wait while your recording is saved to the MicroSD card. If you’ve recorded a long piece of audio it will take a short while for it to be saved. You’ll want to take the audio from the MicroSD card to a computer to share it or edit it. There are two ways of doing this. 1. 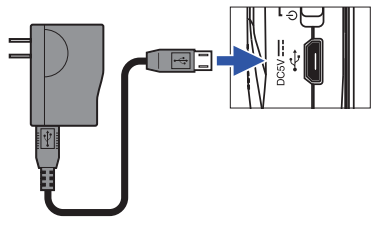 Connect the Zoom H1n to a computer or laptop with the USB cable. This will let you copy or move the audio files to your computer. 2. 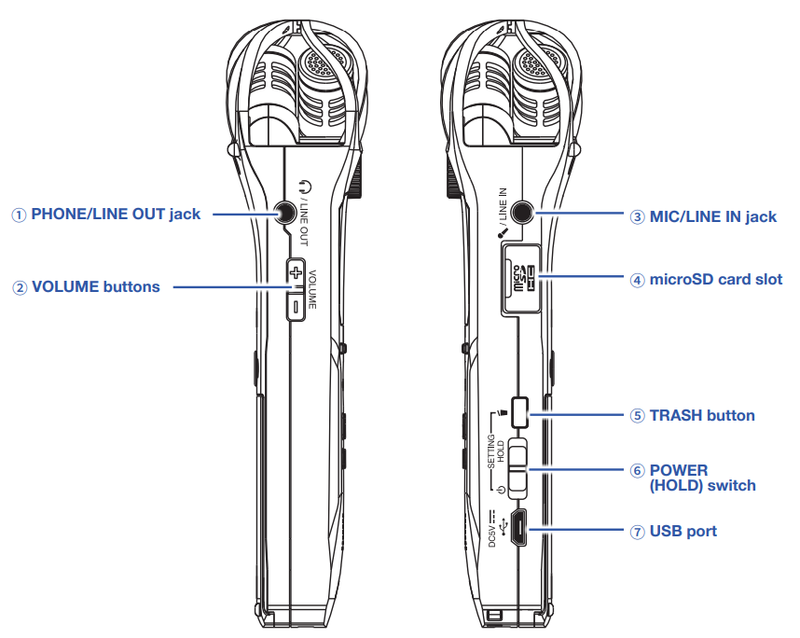 Alternatively, you can remove the MicroSD card, pop it into an adaptor and put it into the SD card slot on your computer or an external SD card reader. 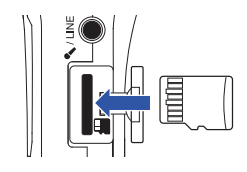 That method is quite fiddly so we recommend using the USB cable method.